Thank you very much for a wonderful stay in the Coach House Suite! Thank you very much for a wonderful stay in the Coach House Suite at the Chateau des Sablons. We had a very good time. Sorry we didn’t get to say goodbye before we left. 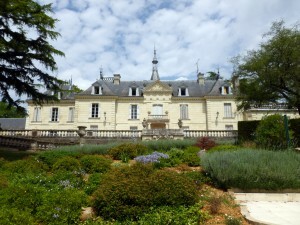 We enjoyed our stay at the Chateau des Sablons in the Vineyard Suite for our recent holiday. Just wanted to let you know how much we enjoyed our stay at the Chateau des Sablons in the Vineyard Suite for our recent holiday. The welcome we received, the viewing of the chateau, and the departure gift of the chocolates were very much appreciated – along with the suggestions and advice about places to visit. We very seldom go back to the same place again for our holidays, but we shall certainly be recommending your accommodation to friends who might be visiting the area. Noel and Catherine Marie S.
We had a wonderful time at the Chateau des Sablons! We had a wonderful time at the Chateau des Sablons in the Terrace View suite as well as in the surrounding area – thank you. The Chateau was beautiful, and provided perfect accommodations. It suited our needs very well. We would walk into town in the morning to one of the bakeries and buy our breakfast, bring it back and sit outside at the chateau, and then eat our breakfast leisurely. It was just perfect. Rob was wonderful and helpful. When we travel to France again, we would definitely look into staying at the Chateau again, or maybe try one of your other locations! The Vineyard Suite Was Magnifique! “A Place of Calm” – yes, exactly as advertised! After spending a few glorious (but cold and busy) days in Paris, including running the Half-Marathon, it was a pleasure to unwind at this beautiful gem. 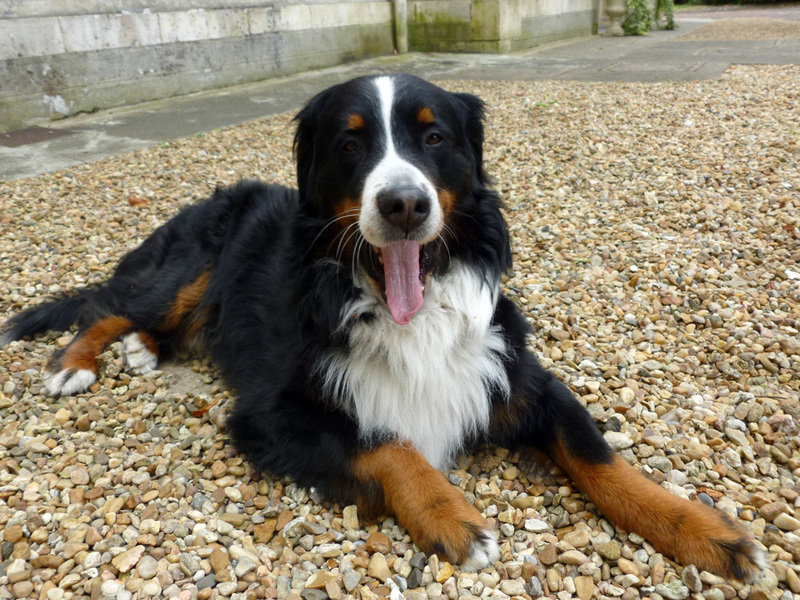 We were warmly greeted by George and Jean Pierre, but we must confess we most appreciated the friendly welcome by Charlemagne (Charlie), their beautiful bi-lingual Bernese mountain dog! (We missed our dogs at home!) The owners’ hospitality, recommendations, and attention to detail (both in their gorgeous chateau and the guest accommodations) were much appreciated. Thank you for the wine and flowers, and milk in the fridge! Our vineyard suite looked exactly as pictured and was extremely clean, comfortable, and well-designed. Perfect location for chateau-hopping (we visited 8 in 3 days at a leisurely pace). We were lucky to arrive on a Monday, so we stocked up at the fantastic Tuesday outdoor market in Bourgueil, and enjoyed cooking several meals in our apartment. Don’t miss the Cafe Metry (patisserie/ salon de the) for their outstanding pains au chocolat and coffees. We also very much enjoyed dinners at La Rose de Pindar and La Trattoria (excellent crepes – but cash only unless you have a credit card with la puce). Everyone was very friendly. The village center is a 15 minute pleasant walk. Yes, we were there during the off-season, weather was chilly and not much was in bloom, but that was offset by the lack of crowds and the solitude – merci George, Jean Pierre, and Charlie, for sharing your place of calm. We hope to rent from Historic Rentals again, perhaps one of your lovely Paris apartments. The Chateau des Sablons is an enchanting place! What a wonderful place! 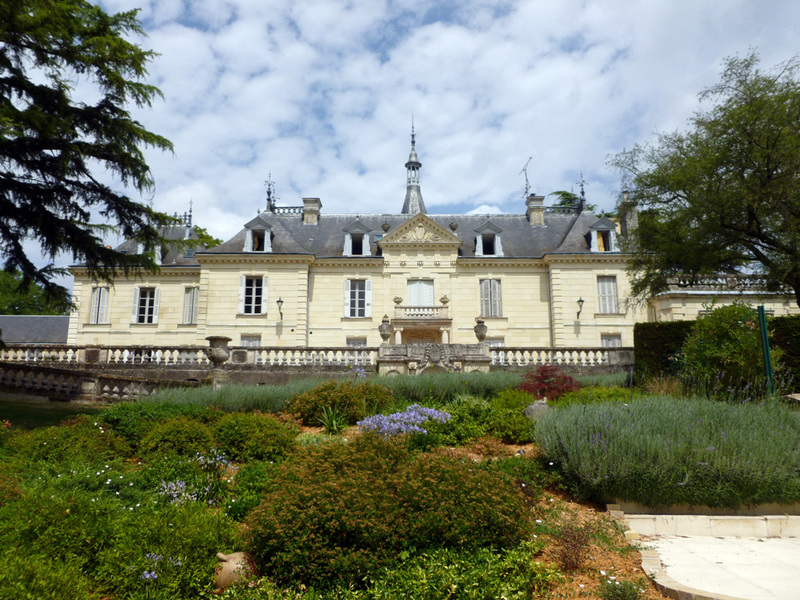 I planned on staying at the Chateau des Sablons few weeks and ended up staying eight after seeing the place. George and John-Pierre are gracious hosts who have thought of everything (not just flowers and wine, but ice cubes in each apt)! They are always available to assist, and never intrude. I’ve stayed in five different suites, and each are beautifully furnished (great beds), peaceful, and private. The grounds are magnificent, and are as shown in the photos. The location could not be better to enjoy everything the Loire has to offer – nice walk to town, great bike riding, and a day trip to anywhere. To all singles, couples, families, friends, lovers, etc. I recommend this place without reservation to any and all! Oh, and there great wifi too – a rarity. Thank you gentlemen for such an ideal start to my time in this beautiful country. We enjoyed our stay in the Vineyard Suite at the chateau very much! We had a wonderful time at the Chateau des Sablons, and enjoyed our stay in the Vineyard Suite very much. We found all to be as you had represented, and we appreciated all your personal touches such as the flowers and wine in our suite upon our arrival. Very welcoming! We especially enjoyed our invitation to join you for aperitifs and a tour and history of the chateau. The village of Bourgueil contained all we needed to idle away an hour or so shopping, or enjoy a lunch or dinner. All the chateaus in the area were within easy driving distance, and we visited quite a few. We will keep you, Historic Rentals, in our address book, you have many more sites to explore. Thank you again. A Beintot. 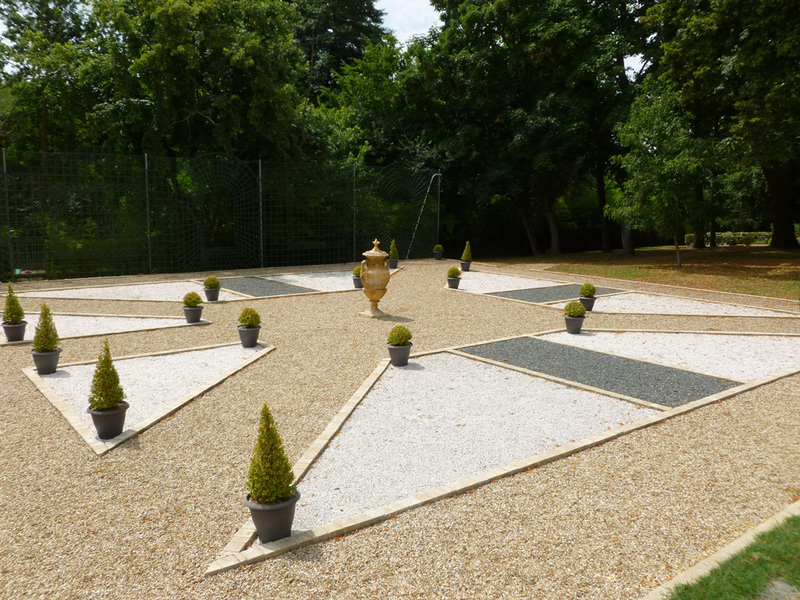 We had a lovely time at the Chateau des Sablons in the Garden Suite! We had a lovely time at the Chateau des Sablons. The Garden Suite was great. We hope to get back to see you again next year, or we may even try Provence. The holiday was over too soon…. We could have stayed another week with you! We had a great time at the Chateau des Sablons in the wonderful little Arbor View apartment. We’ve had a great time at the Chateau des Sablons in the wonderful little Arbor View apartment. Next time we will make sure to have more time to spend here. 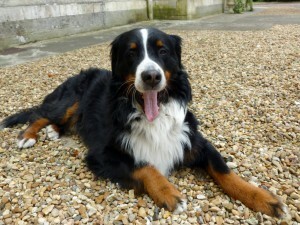 We’re still high from our stay in Paris, but especially from our stay at your chateau in the Loire! We had a great time. Thanks again for your hospitality. We’re still high from our stay in Paris, but especially from our stay at your chateau in the Loire! We loved the setting, the beautifully kept grounds, as well as the comfortable and well equipped Bellevue apartment which had everything we needed (including umbrellas)! We hope to make it back there sometime.